First week of school was a success. Long, but fun. I’d say that I am slowly getting used to teaching. However, learning from lectures in the past have certainly influenced me. Now I am finding it a bit hard to incorporate visuals into my lessons. I’m working on that. I have been having trouble with students sleeping in class already. That was easily fixed with a squirt gun. I’m hoping kids will think twice about sleeping in class when they have the possibility of getting a squirt of cold water to the head from across the room. I have a handful of exchange students who don’t speak a lick of English and so their grade is definitely suffering. I made my first test in World History the easiest test on earth. Everyone who could speak English did fairly well, and everyone who didn’t, failed. Luckily I start teaching ESL next week. A staff retreat to one of the most beautiful places in the world is way more than I could ask for after a long first week of school. 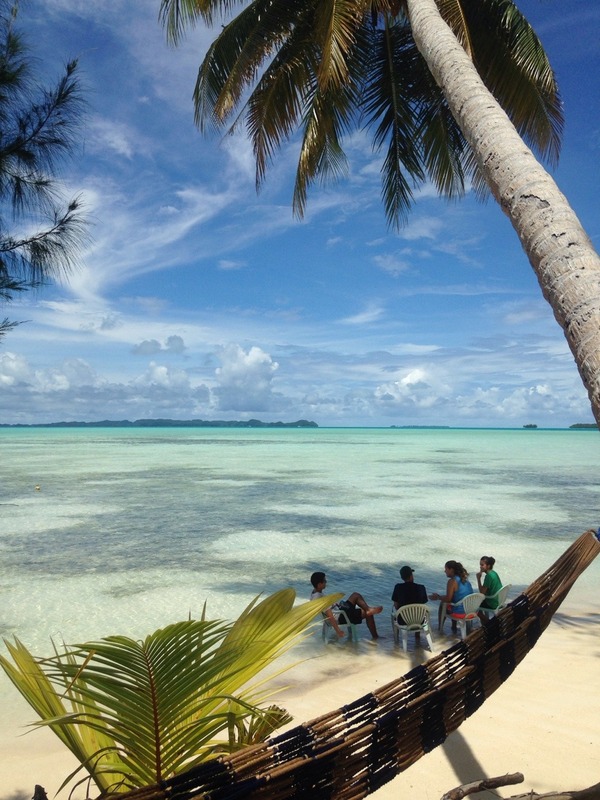 We spent Friday night through Sunday afternoon in what we call the Rock Islands here in Palau. We camped out on the chiefs island called Ngemelis (nem-elise). Yes, Palau has a high chief AND a president in government office. His island was incredible. We spent our time snorkeling, spear fishing (at night), and star gazing. Luckily it wasn’t too hot at night and we were able to sleep fairly well. However, half the island was covered in ants and half the shells were occupied by hermits. Also, there were sand dollars laying around all over the beach. I know Mom likes those so I might try and smuggle some in my suitcase in December. Time to get ready for another week of school. Week two of students here I come. Be ready for a test in U.S History! *This was originally posted on Joe Mixon’s blog on September 1, 2014. Joe is a student missionary from Southern Adventist University (through Adventist Volunteer Service) serving as a History Teacher at Palau Mission Academy in Palau. This has been re-posted with his permission.